P/E ratios are deceptive. In 2004, both AAPL and GOOG were “expensive” stocks. Then they went up 1200% and 600%. Would you pay a P/E ratio (Price-Earnings) of 1x’s future earnings for a dominant market share leading franchise that is revolutionizing the digital industry and growing earnings at an +83% compounded annual growth rate? Or how about shelling out 3x’s future profits for a company with ambitions of taking over the global internet advertising and commerce industries while expanding earnings at an explosive +51% clip? If you were capable of identifying Apple Inc. (AAPL) and Google Inc. (GOOG) as investment ideas in 2004, you would have made approximately +2,000% and +600%, respectively, over the following six years. I know looking out years into the future can be a lot to ask for in a world of high frequency traders and stock renters, but rather than focusing on daily jobless claims and natural gas inventory numbers, there are actual ways to accumulate massive gains on stocks without fixating on traditional trailing P/E ratios. At the time in 2004, Apple and Google were trading at what seemed like very expensive mid-30s P/E ratios (currently the S&P 500 index is trading around 15x’s trailing profits) before these stocks made their explosive, multi-hundred-percent upward price moves. What seemingly appeared like expensive rip-offs back then – Apple traded at a 37x P/E ($15/$0.41) and Google 34x P/E ($85/$2.51) – were actually bargains of a lifetime. The fact that Apple’s share price appreciated from $15 to $347 and Google’s $85 to $538, hammers home the point that analyzing trailing P/E ratios alone can be hazardous to your stock-picking health. Our ongoing analysis of the most successful stocks from 1880 to the present show that, contrary to most investors beliefs, P/E ratios were not a relevant factor in price movement and have very little to do with whether a stock should be bought or sold. Much more crucial, we found, was the percentage increase in earnings per share. From 1953 – 1985 the best performing stocks traded at a P/E ratio of 20x at the early stages of price appreciation versus an average P/E ratio of 15x for the Dow Jones Industrial Average over the same period. The largest winners saw their P/E multiples expand by 125% to 45x. From 1990 – 1995, the leading stocks saw their P/E ratios more than double from an average of 36 to the 80s. Once again, O’Neil explains why you need to pay a premium to play with the market leading stocks. You can’t buy a Mercedes for the price of a Chevrolet, and you can’t buy oceanfront property for the same price you’d pay for land a couple of miles inland. Everything sells for about what it’s worth at the time based on the law of supply and demand…The very best stocks, like the very best art, usually command a higher price. Any serious investor has “value trap” scars and horror stories to share about apparently cheap stocks that seemed like bargains, only to later plummet lower in price. O’Neil uses the example of when he purchased Northrop Grumman Corp (NOC) many years ago when it traded at 4x’s earnings, and subsequently watched it fall to a P/E ratio of 2x’s earnings. Correctly determining how a company can grow earnings is a more crucial factor than a trailing P/E ratio when evaluating the attractiveness of a stock’s share price. Even if you buy into the premise that trailing P/E ratios do not matter, valuation based on future earnings and cash flows is critical. 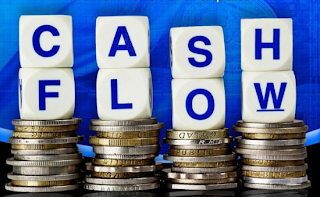 When calculating the value of a company via a discounted cash flow or net present value analysis, one does not use historical numbers, but rather future earnings and cash flow figures. So when analyzing companies with apparently sky-high valuations based on trailing twelve month P/E ratios, do yourself a favor and take a deep breath before hyperventilating, because if you want to invest in unique growth stocks it will require implementing a unique approach to evaluating P/E ratios.